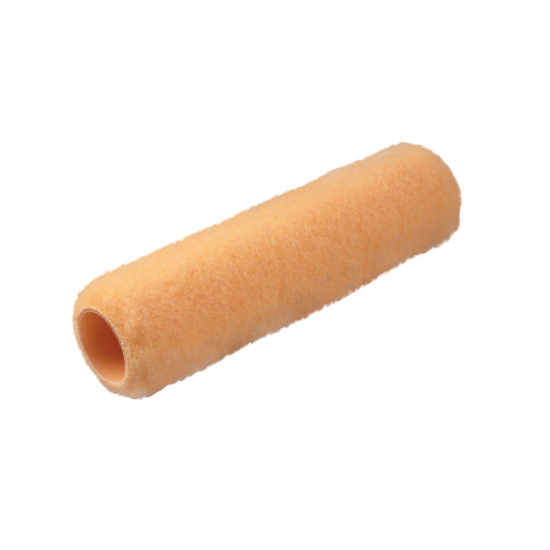 Thermo-fused roller with 18mm long pile fabric. Knitted polyester is a high absorbency fabric, ideal for applying masonry, emulsions and all other water based paints onto rough interior or exterior surfaces. The Thermo-fusion manufacturing process bonds the fabric to the inner plastic core using a heat process giving the roller far greater longevity. 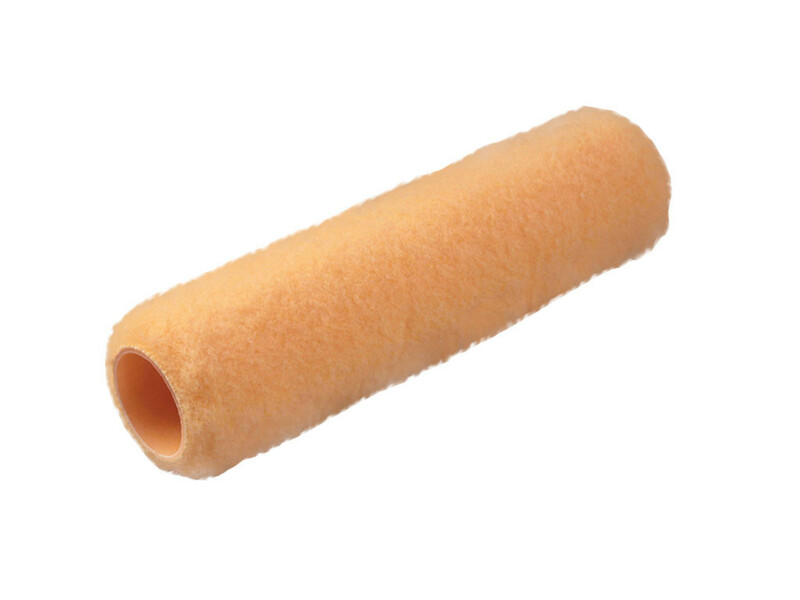 Wash before use, the roller is 9 Inches wide with a 1.75 inch diameter core and is compatible with all 9 Inch roller cage frames available on this site.